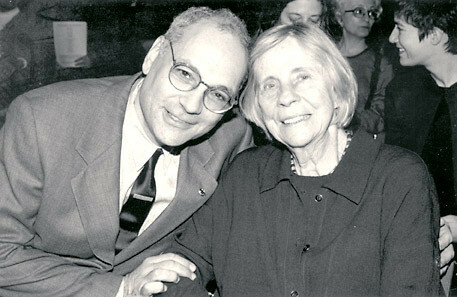 Charles Bernstein and Barbara Guest at the New York Public Library, April 23, 1999. Photo by Star Black. Editorial note: Barbara Guest (1920–2006) was the author of more than a dozen books of poetry, including Fair Realism (1989), Defensive Rapture (1993), and Quill, Solitary Apparition (1996). In 2008, Wesleyan University Press published her Collected Poems. The following conversation was recorded in 1995 for LINEbreak, produced and directed by Martin Spinelli and hosted by Charles Bernstein for the Poetics Program at SUNY-Buffalo, at the Charles Morrow and Associates Studio in New York.